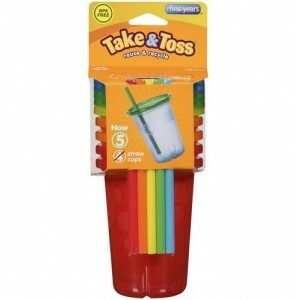 Home > Printable Coupons > The First Years Coupon | Take & Toss Cups Only 38¢ Each! The First Years Coupon | Take & Toss Cups Only 38¢ Each! We’re a busy family on the go, and sometimes it’s just easier to have cups and other feeding items that you don’t have to worry about keeping up with. Check out The First Years coupon below for some new savings to help you stock up on these helpful items. Makes it $1.88 each or 38¢ per cup! Makes it $1.98 each or 40¢ per cup! Makes it $1.88 each or 12¢ per spoon!